In a lot of ways, Maniac Mansion is where it all began for Lucasarts (or Lucasfilm Games, as it was know back then). The company's first big adventure game hit, it set the tone for a decade of classic titles that would define PC gaming for an entire generation. Released before the era of developer diaries and behind-the-scenes documentaries, all we know about the creation of the game is what we've pieced together over the years from interviews, or from books like Rogue Leaders. 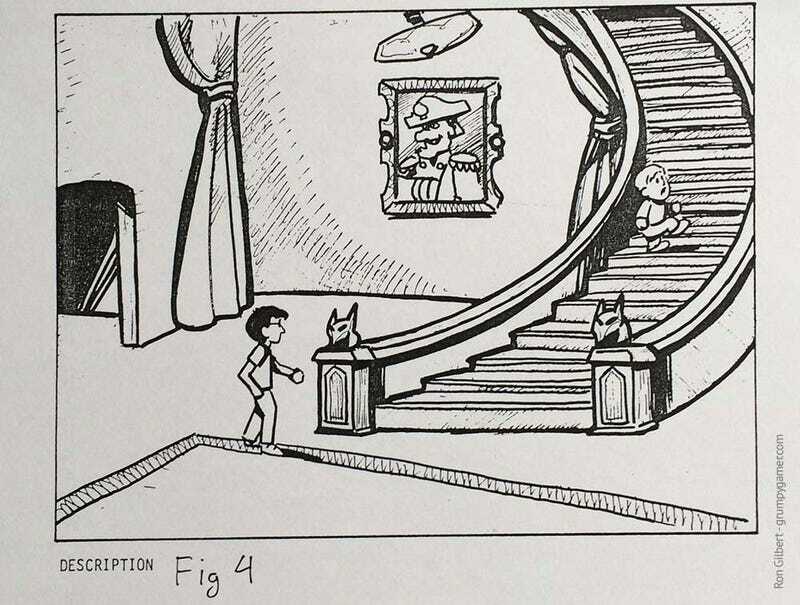 Well, Maniac Mansion creator Ron Gilbert blew the doors off that state of affairs earlier today, as after cleaning out a storage unit he found the original design documents for the game and uploaded them to his site. There's background, storyboards and, most importantly, the outlines for what would become SCUMM, Lucasarts' trademark adventure game input system. It's a goldmine for anyone who's ever loved an adventure game, or loved seeing how games are made. And in case you missed it, Gilbert also has similar docs for Monkey Island.